The 1301, first released in 1969, is Intel's first mask rom, and is a compatible replacement for the groundbreaking 1701 UV erasable PROM. 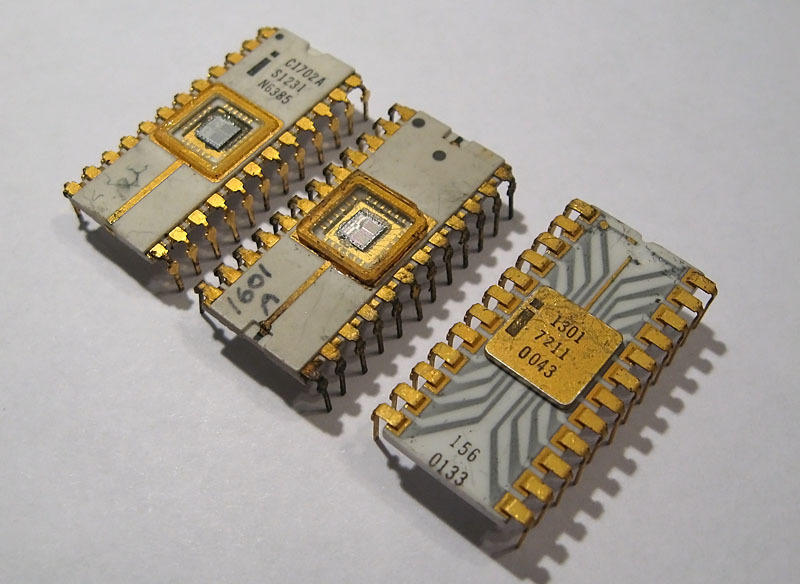 The 1301 is programmed at the factory with a metal mask, and was marketed as a low cost alternative to the 1701 for mass-produced items where it was not necessary for the chip to be erasable. 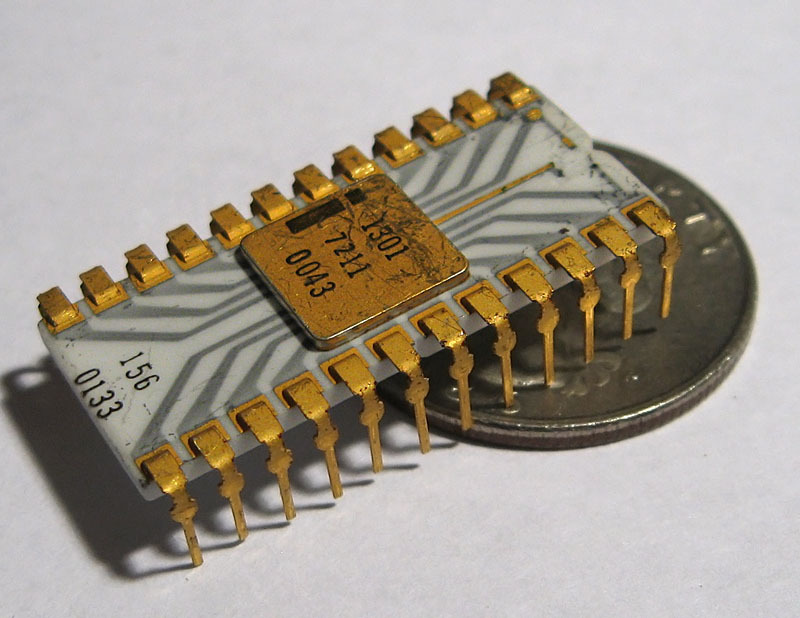 The 1301 has a storage capacity of 256 bytes, or 2048 bits, and is also equipped with TTL compatible outputs. The example shown here is an earlier gray trace version, and has a date code from 1972. 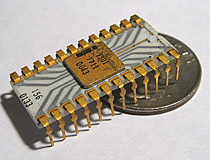 Intel 1301 mask rom integrated circuit.